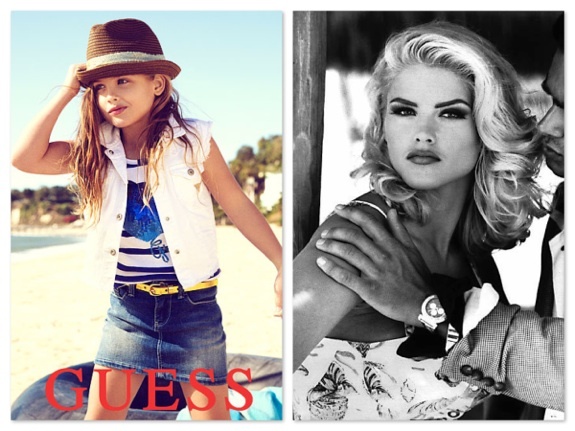 Twenty years after her mother became a world-famous model for GUESS, six-year-old daughter of Anna Nicole Smith, Dannielynn Birkhead is following in her mom’s footsteps and modelling for GUESS kids. For the campaign, which will appear on buses and billboards beginning in mid-January 2013, Dannielynn posed on the beach wearing a denim mini-skirt, white-denim vest, graphic t-shirt and a fedora. 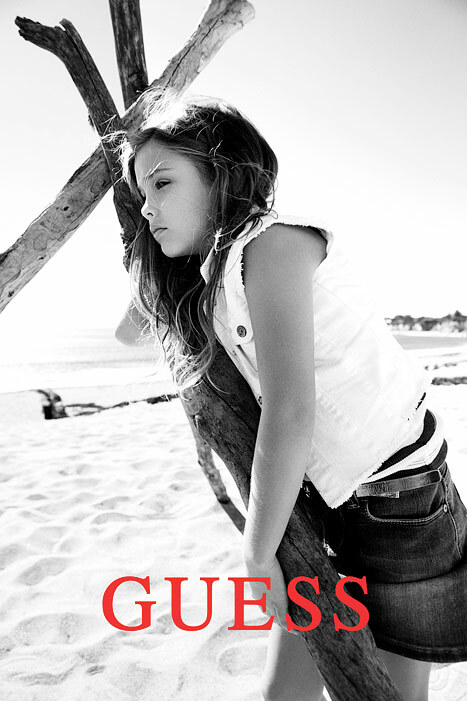 Dannielynn is absolutely beautiful and perfect as a GUESS Kids model. She has stayed out of spotlight over the last few years so it’s nice to see that she is having a bit of fun in front of the camera. We can’t wait to see the rest of the campaign. She is very pretty! I think she looks more like her dad than her mom. I agree that she looks more like her biological dad than her mother. Dad is talking out of both sides of his mouth …. he is having her follow her mother’s footsteps while claiming he is not. Then again, why would Larry do anything different than he did with her mother? Her poor mother was used as a cash cow by Larry and now Larry will use his daughter as his cash cow. I dread when she becomes an adolescent. Btw, she used to have BLOND hair. What happened? Was it dyed? In any event, I feel sorry for this little girl.